Ok, ok—so we here at Dwell are known for our unabashed love of all things Heath. But in our defense, they make it really difficult not to love them whenever they roll out new products. Case in point: their new line of designs tailored to the littlest modernists out there. We're swooning over the pint-sized, three-piece dinnerware sets; bowls; and utensils in their kids' line. And their factory puzzle is pretty awesome, too (plus it won't break if your tyke causes it to tumble to the floor). 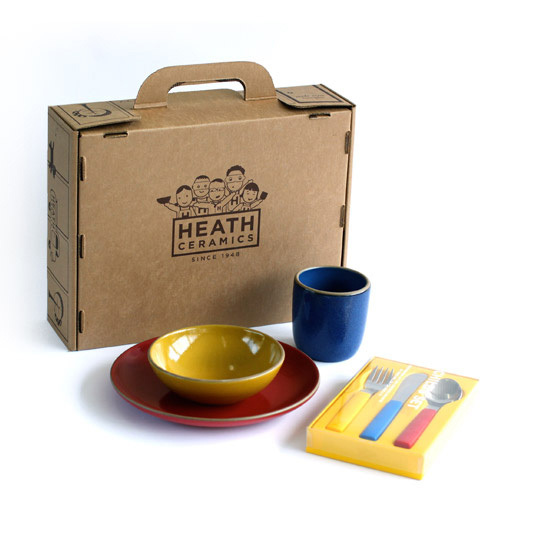 Children's dinnerware set by Heath Ceramics, $135.00. 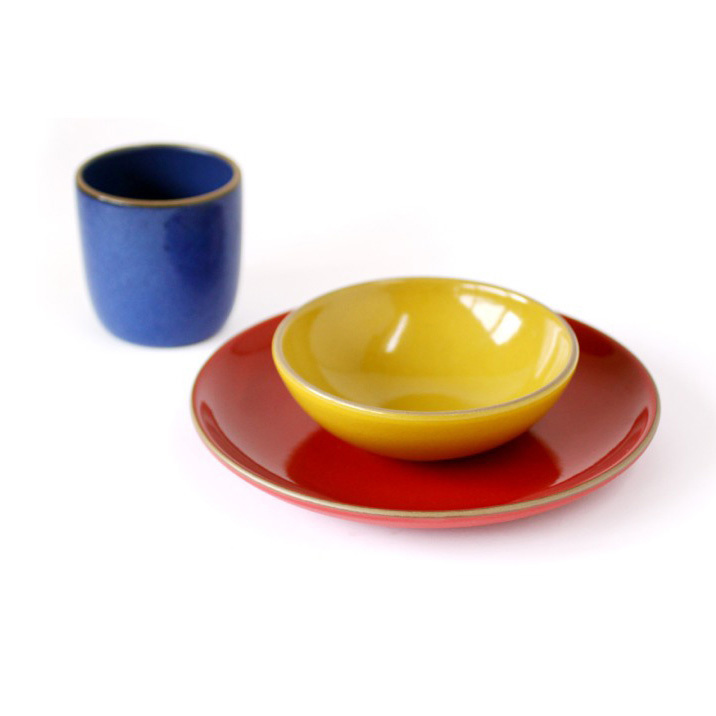 Three-piece children's dinnerware set by Heath Ceramics, $75.00. 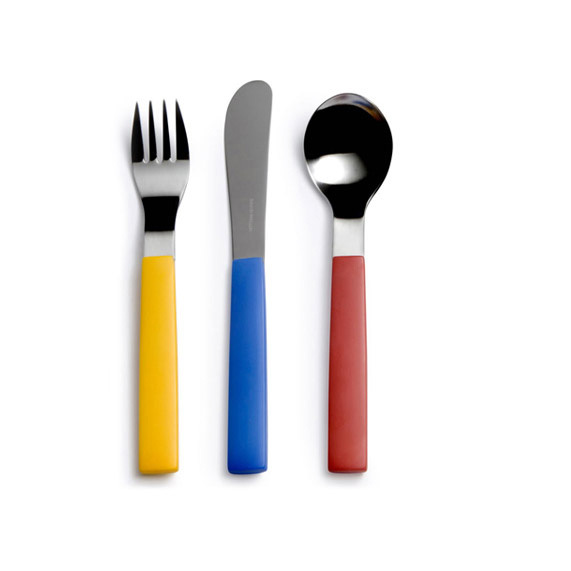 Three-piece children's utensil set by David Mellor for Heath Ceramics, $56.00. 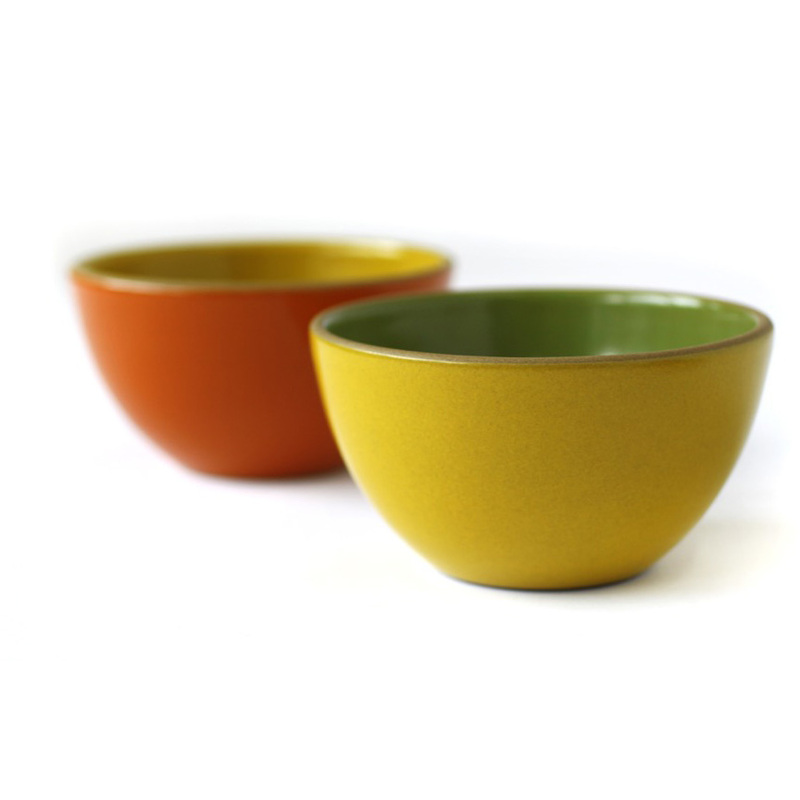 Set of children's veggie bowls by Heath Ceramics, $50.00. 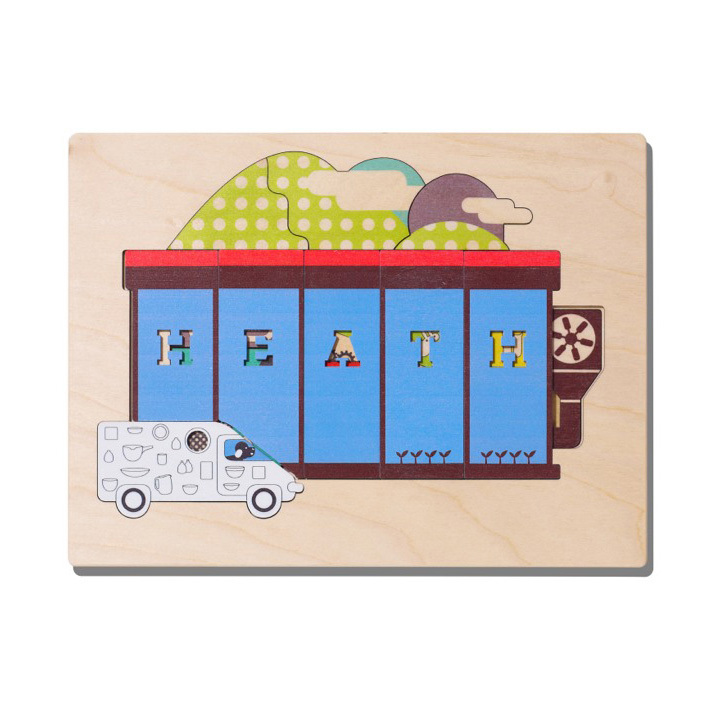 Birch plywood Factory puzzle by Heath Ceramics, $18.00.